16 Years of the NoMen making original music from the ingredients of many genres! Dress rehearsal for live broadcast! Enter your email address to subscribe to this blog and receive notifications of new NoMen posts by email. IF NOT WHY, THEN WHEN? 16 tracks of NoMen noise in a perfect bound book! Mock 78rpm style CD disc. # 1 Much Cooler In The Fridge. Their classic summer single. The Steve Treatment tribute. Available on SteveTreatment.com. The NoMen took some lyrics from Steve’s notebooks from the early 70s and made them into songs. I’m In Love With a Robot – robotic dancing to a new album track. I HEAR A NEW WORLD – unfinished collaboration based on the Joe Meek opus with the Giant Blue Zeta Puppies. THESE ALBUMS ARE ONLINE ON iTUNES, SPOTIFY etc, etc. 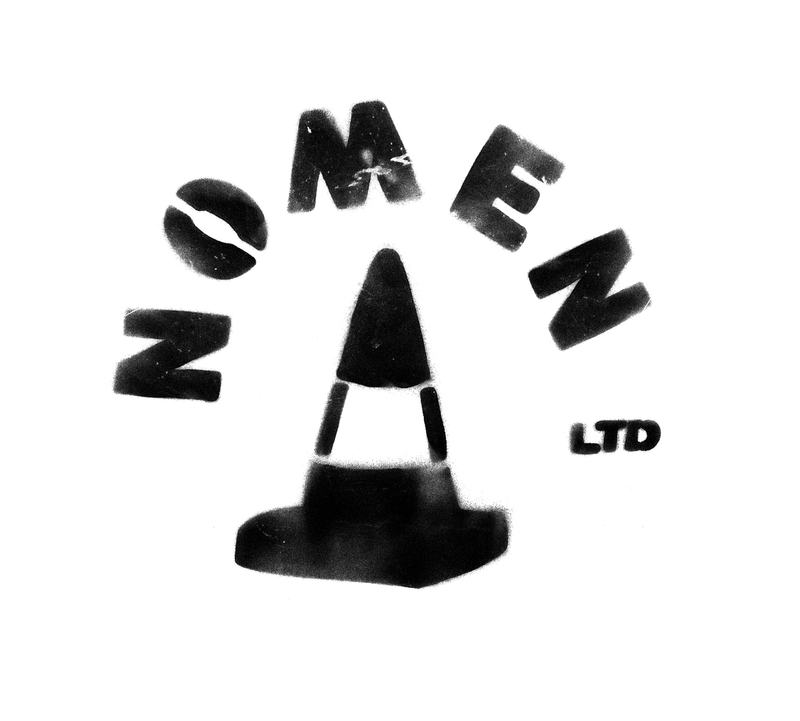 Download or listen to The NoMen on the Digital Super Highway! PSYCHO DELI Not the original 2010 album but a compilation of Psycho Deli, Adobo-a-GoGo and Return to the Rubber Room all released between 2010 and 2012. These albums were the start of the NoMen’s golden years with Jamie, Brian, George and Allan NoMan with the band moving on from being a covers band to originators! ESCAPE REALITY WITH The NoMen Nu Psychedelia, sixties pastiche and all out rock’n’Roll. This is the NoMen at their fuzzy, freaked out best! HALLOWEEN ALBUM TIME Songs of Horror and Death and B-Movie Science Fiction. Halloween never goes out of fashion. Garage rock and good old noisy rock’n’roll! SATURDAY NIGHT SPACE DUST Possibly the classic NoMen album? Songs about robots, space travel, German scientists and dogs in space! The 5” Lathe Cut EP Short sharp shocks from the NoMen. The Bomb is only 26 seconds and is still a fully formed punk rock belter! The longest track clocks in at a mammoth 2 minutes and 6 seconds. GLAM 1972 Who knew the NoMen were around in 1972!?! Well they think they were, and these authentic sounding Glam Rocks make their case quite convincing! IN SPACE (What if Cheese were made of the moon?) The NoMen take off for the stratosphere in this homage to sci-fi and the future that was promised in the fifties and sixties! THE EP COLLECTION Throughout 2016 the NoMen released a series of EPs in a variety of weird and wonderfull styles. This album gathers the best of these tracks into a cohesive album. Any self indulgence which might have been OK on the EPs has been purged and this compilation concentrates on the songs! THE BLACKEST DAY Pirate based concept album. A varied mix of styles some of which show the NoMen at their smoothest and slickest; and some just out and out rocking! WAYS TO ANNOY THE DEVIL Six (six six) satanic, psyche songs! The tracks for this were recorded one afternoon by George on Drums and Allan on Bass. Guitar and vocal overdubs were added later turning this into a very cohesive and enjoyable album. THE EP COLECTION A sampler of tracks from the various EPs the NoMen released throughout 2016. WOBBLE IT Allan and George on their own again waiting for the rest of the band to turn up. George on Drums, Allan on Bass. Guitar and vocal overdubs added later by Allan NoMan making this a bit of an Allan NoMan solo album! Last track is from the very first night that Billy NoMan joined the band bringing his vintage MOOG Prodigy along with him. * All three of these together? Previous Previous post: a new career in a new town….